BOOK REVIEWS: Michał Głowacki, Epp Lauk, Auksė Balčytienė (eds.) 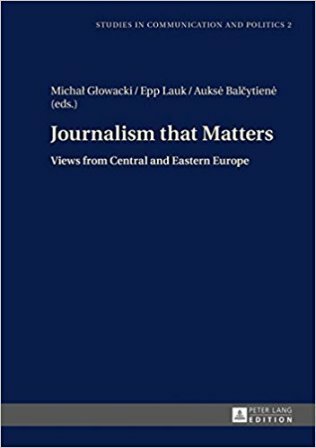 (2014), Journalism that Matters: Views from Central and Eastern Europe. Frankfurt am Main, Berlin, Bern, Bruxelles, New York, Oxford and Wien: Peter Lang Publishing, pp. 214, ISBN: 978-3-631-65421-7.